To a girl who idolized her mother that might have been a flattering statement, but I despised it. “You look best with your hair off your face, just like me,” she said when I wanted to cut bangs. “Your skin is fair, just like mine,” she told me when I got a little sunburn. There was nothing to do but contradict her. “Your hairdresser says my forehead is high enough for bangs,” I told her, and got my hair cut anyway. “My skin is way darker than yours,” I said, thrusting my arm against hers. “This is what I want for my prom gown,” I told her, taking up a bolt of yellow dotted swiss. Because in my mother’s world, it seemed to me, things were always as she said they were, regardless of evidence. Her hairdresser’s opinion was of no consequence in judging my hairstyle. Our two arms side by side, hers so light it was pink, mine darker with a dash of yellow, was not enough to convince her that I had not inherited her coloring. When she saw me wearing that yellow prom dress, she saw me through the reflection of her own mirror. When it came to looks, my mother had parceled out the world of our family: My older sister Judy looked like our father and I looked like her. There were no exceptions to this rule, no errant noses, chins, or foreheads. My mother had a small face and a large nose with a bump on its bridge. Her lips were thin, her face set in a permanent frown. Her silver hair was short, always worn in the same, off-the-face wavy style. She was 41 when I was born, so I never saw her as the thin young woman she had once been. In my lifetime she was dumpy – not fat, but thick through the middle, with a protruding belly and flabby upper arms. I didn’t want to look like her. I didn’t want to be like her. Yet somehow that seemed wrong. I came of age in the 1950s and early 60s, when all girls were supposed to want to grow up to be their mothers – warm, wise, all-knowing figures like the women on popular TV shows like Father Knows Best and Ozzie and Harriet. But my mother wasn’t like them. Oh, it was true that she could cook and sew and keep the house sparkling clean. If I needed something – from a dark skirt for choir concerts to money for a field trip – she would make sure I had it. But what I wanted from her was less tangible: her support and approval, gestures of love those TV moms doled out in spades. These were not forthcoming. If I complained about a teacher being hard on me she’d say, “You need to learn to take criticism.” If I told her tearfully how a friend had mistreated me she’d say, “Find another friend.” If I brought home good grades or reported some honor, I received no praise, but there was plenty of criticism for my missteps. And there was no tenderness, no hugging and comforting. My father, meanwhile, was 6 foot 2, broad-shouldered and powerful. His waistline never exceeded 32 inches and he looked good in anything he wore. Not that he was conscious of this; Dad never seemed to think much about looks. Yet he was undeniably handsome with pale blue eyes, wavy brown-gray hair, and a strong jaw. More importantly, he didn’t criticize my every move, and despite his gruff exterior, I always knew there was warmth inside. So I allied myself with Dad. At family reunions, I’d sit with him and the other men, discussing sports and politics, while the women congregated in the kitchen, swapping stories about houses and babies. I used to scrutinize my face in the mirror, finding traces of him in my jawline and nose. “Why can’t you admit that in some ways I look like him?” I asked Mother one day. Stymied again. She saw what she saw, and there was no changing her mind. I never once heard her admit she was wrong – at least not to me – so I went to great lengths to prove her wrong. My adolescence was filled with our long-running argument, conducted in raised voices at the dinner table. So it didn’t surprise anyone that my choice of college was 1,000 miles away from home – far enough that I couldn’t come home on weekends. There, I felt free of a great weight. I no longer had to prove myself, to fight against this person who thought she knew who I was. Instead, I made like-minded friends, people who shared my interests and saw me as an adult who was making her own choices rather than an errant child who was ignoring her mother’s sound advice. Feeling emboldened, I wrote about it to my mother. I tried to tell her that I loved college life, that I felt free to be myself. She didn’t answer me. Her next letter was a standard one, as if I’d never spoken. I was disappointed but not surprised. After college, I chose a job far away from home. Then, when I was in my mid-20s, I was visiting my parents, and the three of us were sitting in the living room. I was curled up on the couch in front of the big picture window that overlooked our street, facing my mother. Somehow we got into an argument. And as she often did, Mother brought up the past. “But you didn’t answer me,” I protested. Her words knocked the wind out of me, just exactly as if she’d delivered a punch to the solar plexus. It wasn’t about looks. It had never been about looks. In her mind I was her – or the person she could have been. I remembered how Mother had dropped out of high school to help support her mother after her father became disabled, how she’d wanted to go to college but didn’t have the money, how she’d said it was too late to go when I was growing up. I suddenly realized that I was her surrogate. I was supposed to live out her dreams. Only I couldn’t, because I wasn’t just like her and never had been. She loved math; I hated it from second grade on. She loved the precision of her job as a bookkeeper at a bank; I ran from detail-oriented jobs. She loved knitting and other crafts; I hadn’t the patience to make anything. As I looked at her then, she seemed shrunken in her chair, and my anger turned to sadness tinged with guilt. Suddenly I felt compassion for the woman I’d been fighting with for as long as I could remember. Still, nothing really changed until after my father died. Shocked out of complacency, I visited my mother, determined to get to know her adult to adult before it was too late. She looked up, a slow smile forming. “I wanted to be a gym teacher,” she said. The second concerned my work, which involved reviewing live theater for a newspaper. I took her with me to a show, after which we went to the office so I could write the review. The newsroom was empty because I worked for an evening newspaper, but the back shop we shared with the local morning paper was bustling with printers. After we’d walked by, Mother commented that I hadn’t said hello to anyone. I explained that they worked for the other paper and I didn’t know them. The third incident was the worst. I’d gone to St. Louis a few weeks before to attend a party with some of my old sorority sisters. I had finally achieved my ambition of being a drama critic and had wanted to share that success with my old friends. But everyone there was married with small children and either not working outside the home or not working at any “career” sort of job. All they wanted to talk about was their kids and their houses. When I tried to turn the conversation toward something I knew, no one was interested. To me, the day had been a bust. She began to cry. “I know you don’t care about me,” she said. “I shouldn’t have come.” I didn’t know what to say. She had shown me clearly that she still didn’t approve of me, and when I tried to speak to her honestly about my feelings, in her mind that was tantamount to saying I didn’t care. How could I possibly be myself when I was with her? My mother lived for four more years after that disastrous visit, but we never managed to bridge the chasm between us. When she died, I couldn’t help feeling I’d failed her somehow. By then I’d made the leap from my long-time home in the Midwest to Seattle – moving without a job secured – and had been settled in my new life for a year when I flew home for the funeral. During a time when there were few visitors at the funeral home, I sat down in a chair and a middle-aged woman approached and sat next to me, introducing herself as my mother’s cleaning lady. After offering the standard condolences, she turned to something more personal. I looked at her, too surprised to say anything. I couldn’t help thinking she sounded like the voice of doom. And now to discover that she’d thought it was a gutsy move. Why couldn’t she have told me? What I wouldn’t have given to hear, just once, that she approved of me, admired me even. After the cleaning lady left I sat in my chair for some time, listening to the murmur of voices around me, trying to bring my breathing back to normal. The whole sorry history of my mother and me played like a movie in my head – all the disapproval, all the resistance, all the things that might have been said but never were. It wasn’t until I got home that I realized the cleaning lady had been my mother’s confidante. Mom had told this near-stranger all the things she couldn’t say to me. Thank God the cleaning lady knew I needed to hear them. Through her emissary my mother had admitted at last that, in at least one way, I wasn’t just like her. Author’s Comment: My difficult relationship with my mother has had many ramifications in my life, and it’s something I’ve thought about and written about a lot. In this essay I discuss a fundamental problem that got in the way for us and that we were never able to resolve – even after I had figured out what it was. Sadly, an intellectual understanding doesn’t necessarily lead to changed behavior for either party. I’m grateful that I received a message from my mother after her death that enabled me to put our conflict to rest. 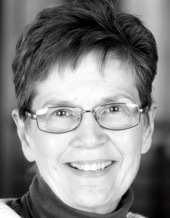 Nancy Wick worked for many years as a writer and editor at the University of Washington in Seattle. Now retired, she writes personal essays and other nonfiction. She also loves working as a developmental editor and copyeditor, helping other writers make their work the best it can be (http://www.EnlightenedEdits.com). View More: Next piece "Another Disney Fan Bites the Dust", Home, Archive. essay resonates with many others, too. Thank you. What a brave and honest story. I too had trouble connecting with my mother as we were so very different in our values. She expected me to marry, have children and settle down in New York, and give her grandchildren, but I couldn’t fulfill her expectations. I made a life for myself in Portland, Oregon where I have become a garden designer, teacher and writer. I could never have developed into my true self in my mother’s shadow. Fortunately her younger sister, My Aunt Libby, encouraged me to live my life, and I’ve just dedicated my seventh book to her, Love Letters to My Garden. Thank you for telling your story and sharing the truth.